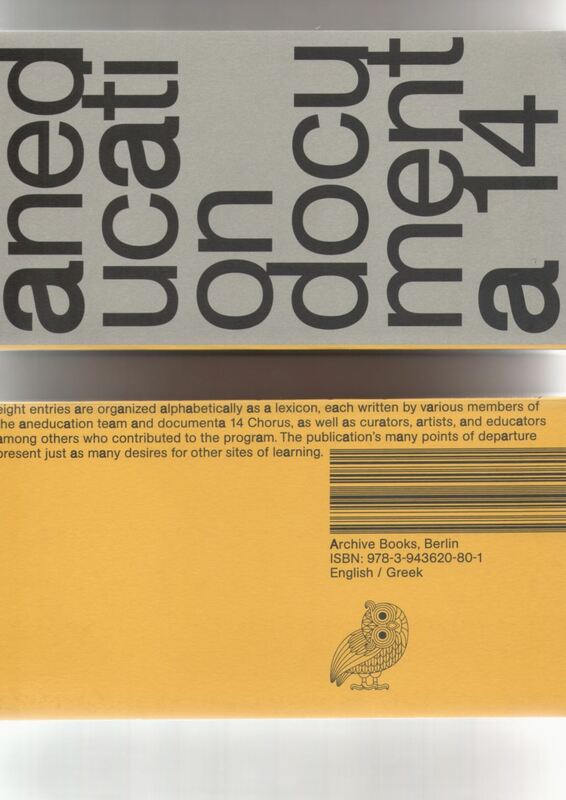 “This is not a book of good intentions.” This publication attempts to introduce a chorus of voices that speak from different positions on aneducation, the education program for Learning from Athens, documenta 14 in Athens and Kassel. Instead of objectives and overviews, target groups and outcomes, successes or failures, the program was determined by process and experience. In thinking through the body it was possible to examine how we come together and recognize knowledge not as a one-way transmission but as a form of exchange that can be circulated. Further, the aim was to listen and learn as an institution, be receptive, and acknowledge the complexities of hearing, from eavesdropping to listening to one’s inner voice. The mode of “being with” guided our program and publication, both of which seek to lay bare the opaque relationships between education, exhibition making, and their publics.